Last week I taught you how to say “Happy Birthday” in Spanish. I promised you that I’d show you the Mexican Happy Birthday song which is 7 verses long (I thought is was 8 in my article last week, but it’s only 7 – that’s way shorter eh?). Anyway, here’s a link to last week’s article if you want to learn more about how to say Happy Birthday in Spanish. We sing them to you. If you drink alcohol in social situations, then you will probably find yourself at a bar at some point. You should be able to find a bar no matter which country you visit. Take a few minutes and learn this helpful Spanish vocabulary for the bar. Can I buy you a drink? | ¿Puedo comprarte una cerveza? Would you like to dance? | ¿Te gustaría bailar? No more. | No más. Challenge: Visit a bar where you can practice your Spanish (if you’re 21+ in the US, or 18+ elsewhere). Tip: Don’t drink so much that your Spanish (and speech in general) becomes incoherent. When people are learning Spanish, they typically tell me that they can speak but not understand, or they tell me that they can understand but can’t speak. When I began learning Spanish, I could speak but not understand. Most people tend to understand better than they can speak, especially in the beginning. There needs to be a better balance in the learning process. People tend to focus too much on speaking or listening. There are the extra studious who focus too much on writing. Rarely will I encounter somebody who has focused too much on reading. The best way for you to learn Spanish would be to move to a Spanish-speaking country and become completely immersed in the language. However, most people are forced to study the language and learn it without going to a foreign country. Speaking 35%. Speak as much as you can, but make 35% of your dedicated study time focused on speaking. Talk to yourself. Meet native speakers who will help you in exchange for you helping them. Read aloud. Ask questions. You will surely make mistakes, but do your best and continually improve. Listening 35%. When you first learn Spanish it seems like native speakers talk a million miles per hour. Don’t be afraid to ask them to slow down. If you consistently listen to Spanish, you will understand much faster because your mind will start to think in Spanish. Just relax and listen. Don’t let your mind freak out. Reading 20%. I recommend that you read aloud as much as possible. This will help your reading and pronunciation skills at the same time. You will surely learn a lot of new vocabulary, but in the beginning you should do your best to understand the gist of what you’re reading. Writing 10%. If you are training for business and you will be doing a lot of writing in Spanish, then you should probably make this a bigger percentage of your study time. If not, then you should practice writing for about 10% of your study time. If you agree or differ on my philosophy of learning Spanish, please leave a comment below. 1. Flan: A flan is a type of open-topped pie that could be compared to a custard tart. It is one of the most popular desserts in Spain and Latin America and served for many different occasions. 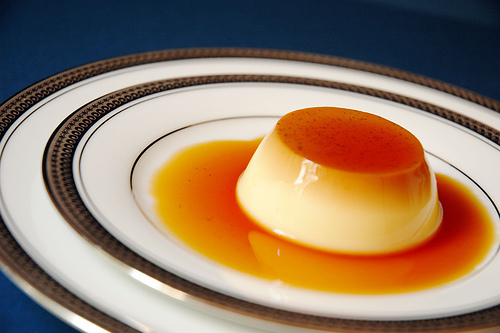 The classic Spanish flan is typically made up of vanilla egg custard and topped with caramel sauce, but there are many different versions out there. 2. “Pastel de Tres Leches” or “Tres Leches Cake” is named for the three milks in the soaking liquid (Leche means milk in Spanish). The three milks in the soaking sauce for Tres Leches are sweetened condensed milk, evaporated milk and heavy cream. 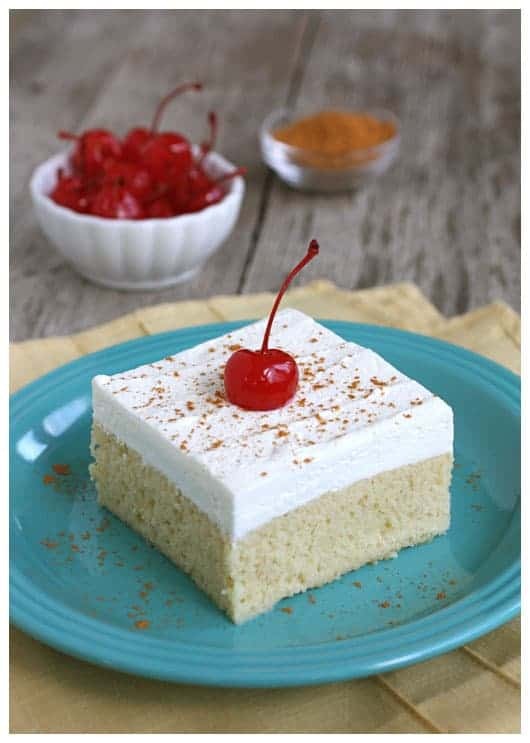 Tres Leches Cake is extremely dense and moist, almost like a custard. Tres Leches is sweet and delicious, but differs from the more traditional light and dry cake we are used to. 3. 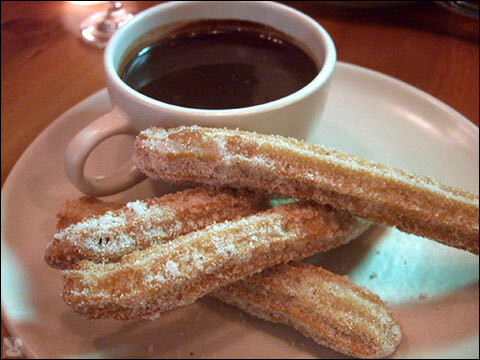 Churros: Most Americans are familiar with churros. Most of us have eaten them or at least seen them at carnivals, theme parks or fairs. My best description of them is that they are the Spanish equivalent of doughnuts. Instead of a ring like a doughnut, “churros” are long, straight, and usually have ridges. 4. 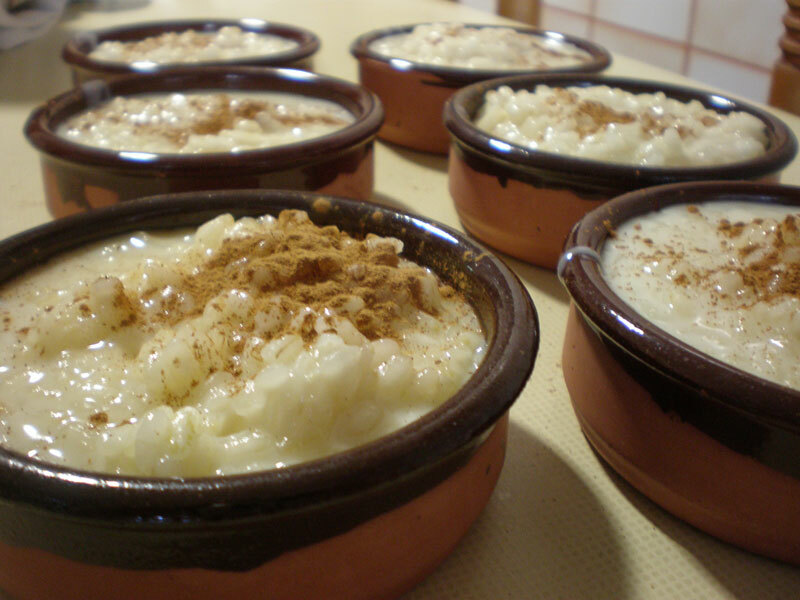 Arroz con Leche: This is a thicker, creamier and more fragrant version of rice pudding. Arroz con Leche is made by slowly cooking rice with milk and sugar flavored with nuts, vanilla and orange zest. 5. Empenadas: Many of us are familiar with savory empanadas – delicious pastries stuffed with beef and egg, chicken or vegetables. 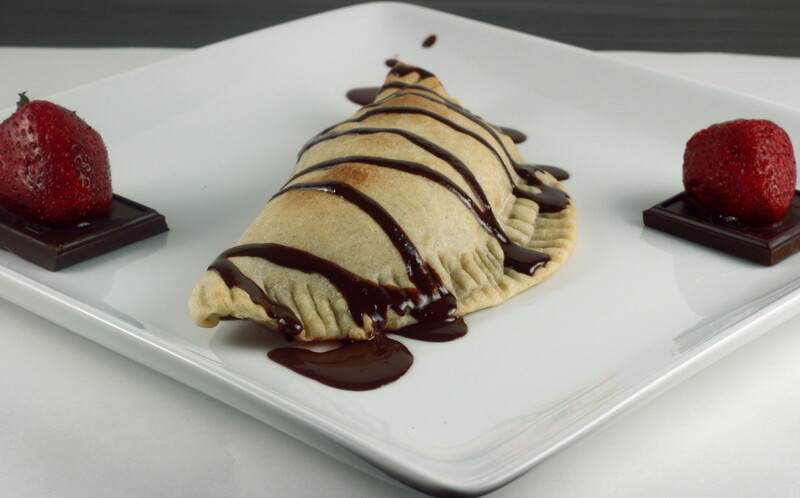 However, dessert empanadas can be equally satisfying. Many are created using fruits such as strawberry or pineapple. Let’s face it, the last time you climbed Mount Everest, you probably looked at something and wondered, “How do I say that in Spanish?” This week is probably our most useful video yet as you learn important phrases that can be used when climbing Mount Everest. Watch the video and you’ll learn what a “Sherpa” is, how to tell people (in Spanish) if you have problems breathing, and other vital emergency phrases – all combined with a neat little grammar lesson on masculine, feminine, singular and plural. 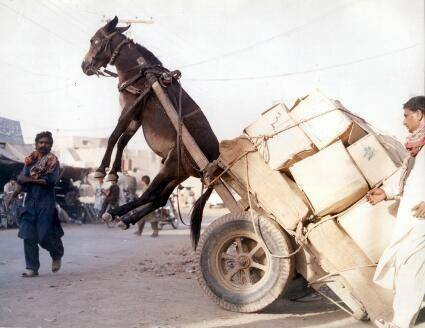 Let’s face it, nobody goes to the extremes that we do to help you learn such useful Spanish. Of course, the best part is that you can join us on Facebook Fiesta Friday to practice your Mount Everest vocabulary. The questions of the week are: “Do you like mountain climbing?” and “What mountain would you climb if you could?” (see the Spanish equivalents below). I can’t breathe very well up here. No puedo respirar bien aquí arriba. I feel like I’m going to die. Me siento como voy a morir. I like how that Sherpa sings. Me gusta como canta esa Sherpa. Can you ask that Sherpa to sing at my funeral? ¿Puede preguntarle a esa Sherpa a contar en mi funeral? I don’t like mountain climbing. No me gusta escalar montañas. My friend tricked me into coming here. Mi amigo me engañó para que viniera aquí. I like mountain climbing. Me gusta escalar montañas. My hands are frozen. Mis manos están congeladas. My nose is frozen. Mi nariz está congelada. My ears are frozen. Mis orejas están congeladas. My finger is frozen. Mi dedo está congelado. Do you like to climb mountains? ¿Te gusta escalar montañas? What mountain would you climb if you could? ¿Qué montaña escalaría si pudiera? Make sure you visit Visual Link Spanish on Facebook and tell us about your experience climbing Mount Everest. Did you meet a special Sherpa? Did you get frost bite? Did you have a near-death experience? Come share amigos! September 2, 2011 – Back to School – What do you want to learn? So, the question of the week is, “How do you say Happy Birthday in Spanish”? It is “Feliz cumpleaños”. The word “cumpleaños” is a compound word – “cumple” comes from the Spanish verb “cumplir” which means “to complete” and “años” means “years”. So, literally “Happy Birthday” means, “Happy Completed Years”. Now, when someone says, “How old are you?” in Spanish, they say “¿Cuántos años tienes?” which literally means “How many years do you have?” To answer, you say, “Tengo veinte años” which means “I have twenty years”. So, the question now becomes, how to you sing Happy Birthday in Spanish? Keep watching the blog because later this week I’ll share the version with you from Mexico. Get excited – it has, get this, eight verses! Because Spanish is such a widely spoken language and continues to grow, it becomes more likely that you might find yourself in a situation like a car accident with a native Spanish speaker. This vocabulary could also be helpful to you if you choose to drive in a Spanish-speaking country. Please practice the vocabulary on our Facebook page. Are you okay? ¿Estás bien? Do we need to call the doctor? ¿Necesitamos llamar al médico? How can I help you? ¿Cómo puedo ayudarte? My knee hurts. Me duele la rodilla. My head hurts. Me duele la cabeza. My neck hurts. Me duele el cuello. My back hurts. Me duele la espalda. Do you have insurance? ¿Tienes seguro? Whose fault is it? ¿Quién tiene la culpa? It’s my fault. Tengo la culpa. It’s his fault. El tiene la culpa. It’s her fault. Ella tiene la culpa. You never know, this lesson might help you save someone else’s life or even save your own. Remember to practice and have a little fun. September 9, 2011 – ??? How often have you wished you could speak Spanish while at the gym? You know that you like to brag about how often you go to the gym, and now you can brag about it in Spanish as well. I would like you to get on our Facebook page and brag to everyone about how often you go to the gym. Exercise is very important, so you might as well be able to talk about it in more than one language. I want to exercise. Quiero hacer ejercicio. I want to play basketball. Quiero jugar baloncesto/básquetbol. I want to be strong. Quiero ser fuerte. Please help me. Ayúdame, por favor. I like to run. Me gusta correr. I like to ride bikes. Me gusta pasear en bicicleta. I am tired. Estoy cansado. What kind of exercise do you like? ¿Qué forma de ejercicio te gusta hacer? I am stronger than you. Soy más fuerte que tú. How often do you exercise? ¿Con qué frecuencia haces ejercicio? I exercise everyday. Hago ejercicio todos los días. I exercise 3 times per week. Hago ejercicio tres veces por semana. Make sure you visit Visual Link Spanish on Facebook and tell us how often you go to they gym and what kind of exercise you like to do. I look forward to reading your responses and helping you practice Spanish. In Spanish is Agua Masculine or Feminine? it starts with “A”. Can you explain this for me please? The word “agua” is a feminine word, however, you have to use “el” instead of “la” in front of it becaue Spanish doesn’t like to have two “a”s together when one is at the end of the word “la”. In other words, “la – agua” is bad. (When the King of Spanish invented Spanish he just hated the sound of “la” followed by a word that starts with “a”. So, he decreed, “la” has to change to “el” –> “el agua”. However, “agua” is still a feminine word (because it ends in “a”). Interestingly, if you make it plural, the article becomes feminine as it should be – “las aguas” and “unas aguas” (they don’t have to be changed since there aren’t two “a”s together. Now, get this, here’s the wierd exception to the rule, the King of Spanish was off his rocker when he made this exception. If a feminine word that starts with an “a” has 3 syllables, and the first one is accented, then it’s ok to put “la” in front of it. Example: “la águila”. Go figure! So, I realize I got a bit technical there, but hopefully that makes sense. Be sure to write again and tell others about our new spanishprogams.com blog! Our goal is to help you learn Spanish! I will be highlighting famous people from Spanish-speaking countries from time to time. Lately the most famous Puerto Ricans have been Jennifer Lopez and J.J. Barea. So here is a little bit of information about each of them so you can keep up on the latest. It’s fun to know what the latest is as a conversation piece with native Spanish speakers. J.J. Barea – Over the past couple of weeks, J.J. Barea has been participating in parades in Dallas and in Puerto Rico. He is the backup point guard on the NBA champion Dallas Mavericks. He recently shot himself into fame by picking apart the Los Angeles Lakers, Oklahoma City Thunder, and the Miami Heat. He was a crucial part of the Mavericks’ championship run. People call him JJ, but his full name is José Juan Barea Mora. At 5’9” tall, he is the envy of short guys playing at local gyms everywhere. Let’s not to forget to mention he is dating the former Miss Universe, Zuleyka Rivera, who is also from Puerto Rico. Jennifer Lopez – J-Lo has become the center of attention again. She was one of 3 judges on American Idol this year, and the lone female alongside Steven Tyler and Randy Jackson. She was actually born in the Bronx, New York to Puerto Rican parents from Ponce, Puerto Rico. She is an actress, singer, record producer, dancer, television personality, fashion designer and television producer. She is currently married to singer Marc Anthony. She gave birth to twins on February 22, 2008. Jennifer Lopez was named ‘People’ magazine’s Most Beautiful Person in April 2011. In my opinion, these 2 have been the most famous Puerto Ricans recently. If you agree or disagree, I would love to hear your comments.